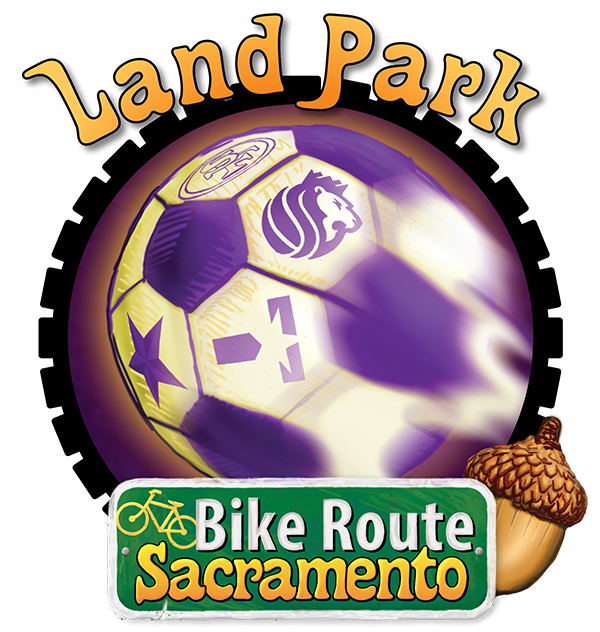 When I think of Land Park I think of sports and especially soccer. It seems that just about everyone has gone through Land Park Soccer or has friends or family who have brought them to games. The fields are full of kids and adults year round kicking that purple ball. I also wanted to raise a toast to the great fans in the area. The Kings have been struggling but you still saw lots of people wearing the gear and going to the games. Now the Kings have a young exiting future and the Land Park fans are getting their reward for loyalty. Add in the Sac Republic, Cats, NFL, MLB it just does not stop. I have had great conversations in Sprouts with fans, wearing a hat or jersey, about their favorite team. All this drove me to create the big purple ball for Land Park. It seemed a good metaphor for all the spirit of the neighborhood. It was done but missing something so I added some of the favorite teams to it. I also added the T logo in their for TableStar Games. Finally a signed piece! 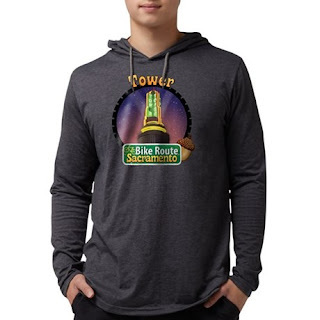 Visit our Cafe Press store to get your own Bike Route Sacramento merchandise.